I'll probably be wearing this same jacket. 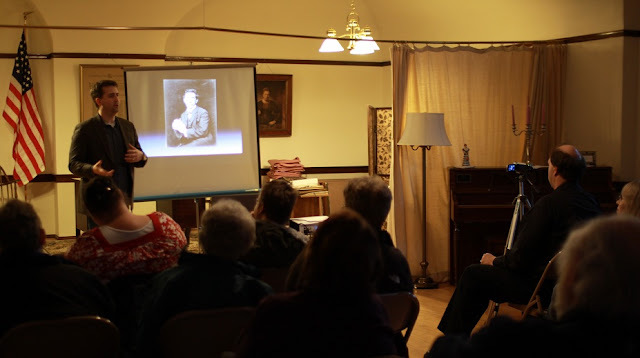 July 9, 2013 — On Tuesday, July 16, I’ll be at the Tewksbury Public Library at 300 Chandler Street giving a presentation on macabre sites in Massachusetts. I promise corpses, graves, murders, monsters, bones, and much, much more(bid). The talk is free to attend, but they’d like you to register in advance. You can do that here. The whole thing starts at 8:00 pm, will end before 9:00pm, and I’ll stick around afterward if anybody wants to talk/thumb wrestle. But if not, I understand.